A cosmetic dentist wins the battle for perfect teeth one inch at a time. This may sound like a philosophical statement but when you consider how small the human mouth is, it becomes clear that that precision is essential. The difference in a person's smile can be measured in a few shades of white, or a millimeter in difference between the alignments of the teeth. We deal with all of these calculations when attempting to correct some of the problems that cause a person to not have the teeth they most desire. By taking small steps and using some simpler techniques we can work miracles even with a smaller budget. People bring us a wish list of what they want to accomplish every day. Sometimes it is just a brighter smile that will make a person more confident, and at other times there are those who require a comprehensive treatment and more complicated procedures. The good news is that with time and with incremental steps we can work to give you most of the things you want for your smile. The technology has improved to such a radical degree the virtually everything is possible with a comprehensive plan. When you come to see us, the first thing we will do is to work on a plan that starts with where you want to be and works backwards so that we can plan each step efficiently. Here are a few of the procedures that we offer that can make your smile exponentially better. Teeth whitening: There is an ongoing craze around the world for whiter teeth. This is not a new thing, but it has gotten more important to people as they seek to have the perfect Hollywood smile. There are a number of over the counter products that you can use to try and get the same effect, and while many of them are effective there is nothing quite like having your cosmetic dentist take care of the whitening in one or two sessions. 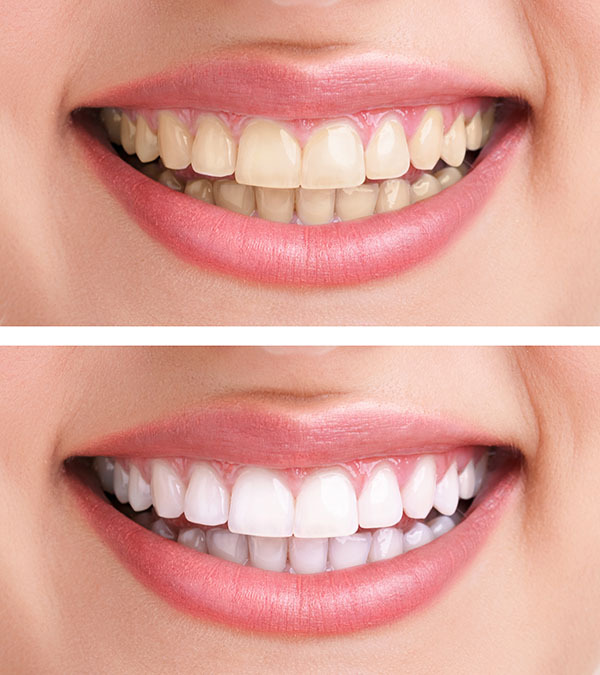 Professionally whitened teeth are brighter and can be a great first step to a more confident smile. Bonding: When a tooth is broken or chipped it has a detrimental effect on the entire smile. Typically treatments for repairing teeth can be expensive. Fortunately, there is a technique called bonding which allows us to correct small chips, cracks, and cavities in your teeth with a tooth colored material. Bonding is a very useful technique as it can help mask some defects in the teeth and can also be used to repair the tooth itself. In cases where decay is threatening to take over, bonding can help to prevent this. Sometimes an entire tooth can be covered with the bonding material, and most bonding sessions can be completed in a single visit to the dentist. Tooth reshaping: There are times when a tooth comes in crooked or misaligned. Using tooth reshaping, we can change the length, shape, and even the contour of the tooth so that it looks and feels better in your mouth. As a cosmetic dentist, we have a variety of tools available for improving your smile. To learn more, call and schedule a consultation.